Durable, versatile, and priced right, we proudly feature well known brands including Dickies and French Toast in our offerings of school uniform pants and shorts. 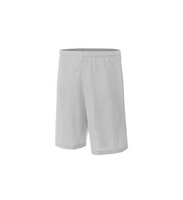 Features and styles include pants and shorts with fade, wrinkle, and stain resistance, elastic waistbands, pleated or flat front, Dickies Flex Waist Adjustable Pants, pants with cellphone pockets, and cargo pocket pants. Shorts offer similar features to the pants. Our color selection ranges from the more popular Black, Khaki, or Navy, to harder to find selections including Silver, Charcoal, Green, White and many more. Sizes include toddler, regular or slim, husky and adult. These boys pants feature double knee, hook & eye closure, 60/40 cotton poly blend, inside waist adjusters and rear button close pockets. Flat front pant features reinforced knees, side seam stitching for added durability, hook & eye closure, and durable poly cotton blend fabric. Center back elastic waist for easier fit. Two front pockets and back welt pockets with button closure on left side. Features reinforced knees, wrinkle resistant finish, front & rear pockets, hook & eye closure in boys husky pant sizes. Flat front poly/cotton blend. Two front pockets.Two rear pockets with button close on left side hook & eye closure. Flat front dress pant with hook & eye closure. Two front and two rear pockets, belt loops, zip fly.